REDUCED!!! .94 ACRE COMMERCIAL LOT READY FOR YOUR BUILDING! 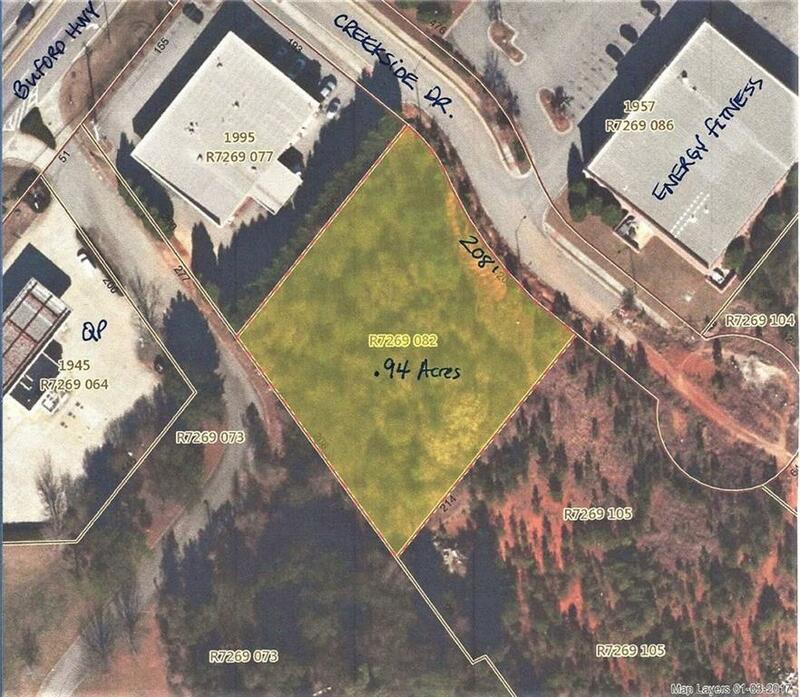 208' OF ROAD FRONTAGE ON CREEKSIDE DR. 300' OFF OF BUFORD HWY. C2 ZONIG WILL ALLOW PLENTY OF RETAIL APPLICATIONS. GREAT LOCATION! JUST OF THE CORNER OF BUFORD HWY AND SOUTH LEE ST. HENDRICK CHEVROLET, CVS, ENERGY FITNESS ARE A FEW OF YOUR NEIGHBORS. POSSIBLE BUILD TO SUIT, OR GROUND LEASE COULD BE AVAILABLE AS WELL. GREAT OPPORTUNITY. CALL FOR MORE DETAILS.